Buying the product direct from the factory enables us to pass very real cost savings directly With lower overheads, no fancy advertising campaigns or costly packaging costs added to the retail price, the majority of the price goes into producing a high quality product. The result - You purchase superior quality paint at very competitive prices. Our clients can avail from us Road Marking Paints, which is resistant to abrasion and internationally known for good adhesion properties and high drying rate. These paints are cost effective and can withstand harsh conditions. Processed using modern technology, these paints are safe to use and in accordance with set industry standards. Color: Yellow, Black, White etc. 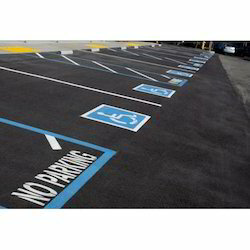 Specification for Pavement Marking Paints. - Markings are of highest standard. 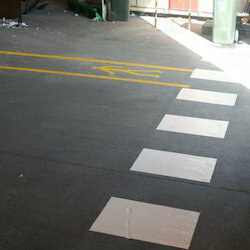 - Markings can be applied to new and existing Car Park. - Bituminous tack coats for use on Concrete surfaces.